San Francisco boasts of a University that dates back to the Jesuit Fathers. It offers many an undergraduate and graduate program that has excellent accreditation. The Law School and Business School of the San Francisco University are famous. The Academy of Art University of San Francisco offers a curriculum that is aimed to create professionals in the art and design. Read up about Golden Gate University. University of San Francisco California dates back to 1855 when it was established by the Jesuit Fathers as the city's first institution of higher education. It was then known as St. Ignatius Academy and gained recognition as a University to offer courses in Greek, Spanish, Latin, English, French, arithmetic, history, geography and bookkeeping. The San Francisco University spread over 55 acres offers professional programs by the School of Nursing, School of Law, School of Business and Management, College of Professional Studies and the School of Education. The University of San Francisco School of Nursing began in 1948 as a department within the College of Arts and Sciences. This first nursing department was a cooperative effort with the Sisters of Mercy so those registered nurses from nearby St. Mary's Hospital could earn their baccalaureate degrees. 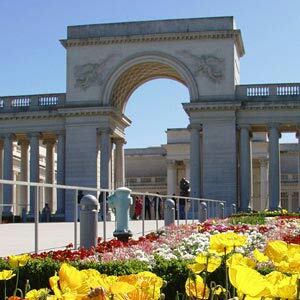 San Francisco State University was established in 1899 as a two-year teacher training college. San Francisco State University (SFSU) has accreditation by the Accrediting Commission for Senior Colleges and Universities of the Western Association of Schools and Colleges. The main campus of San Francisco State University is located at Holloway Avenue and stretches over 106 acres. The off-campus centers of the State University of San Francisco are on Downtown Center, Sierra Nevada, Moss Landing at Monterey Bay and Romberg Tiburon Center at Marin County. The Law School of the University of San Francisco was established in 1912 and has proud alumni of attorneys in city, county, state and federal offices. The school of Law University of California began its classes in the Grant Building on Market Street and later moved to Hayes and Shrader Streets. In 1927 the school of Law University of San Francisco moved to the USF campus. It underwent refurbishment in 2001. With nearly 700 students enrolled at the Law School of the University of San Francisco, this institute is housed at the Koret Law Center overlooking Golden Gate Park and downtown San Francisco. Classrooms at the University of San Francisco Law School are integrated with latest technology and provide excellent training ground for modern day trial practice. The Law school of the San Francisco University boasts of the Zief Law Library - a comfortable, fully-wired research and study environment that provides data and power outlets as well as computer training areas and lounge. An added feature is the dramatic view of the city from the campus.